Memorial Day: School District will be closed. 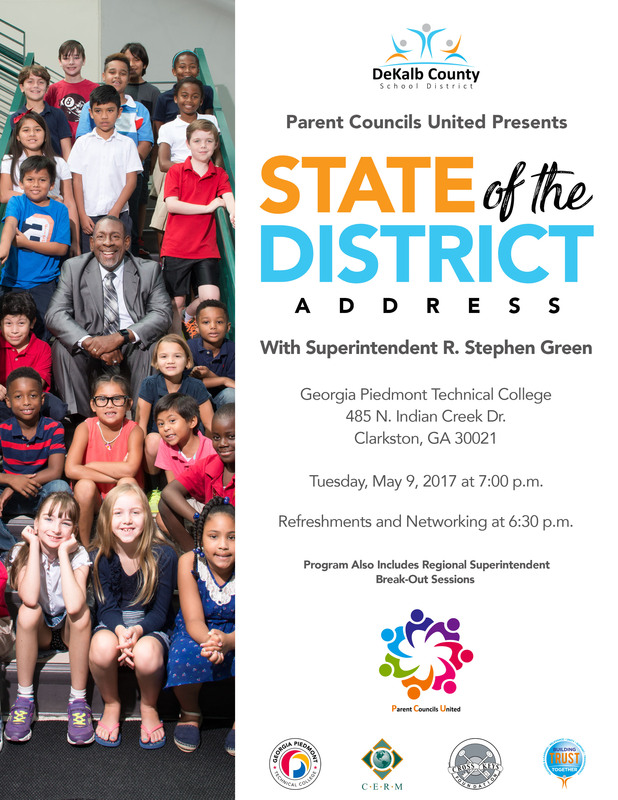 The budget process started in March 2017 and the action by the Board of Education at the June 12th business meeting is just one step in the budgetary process. Between now and June 27, there could be changes to the budget. The public will have two other opportunities to give input at millage rate hearings scheduled for 11:30 a.m. and 6:15 p.m., on Tuesday, June 27, 2017, at the Administrative & Instructional Complex, J. David Williamson Board Room, 1701 Mountain Industrial Blvd., Stone Mountain, GA 30083. The final Budget Adoption and Adoption of Tax Levy is expected to be considered by the Board on Tuesday, June 27. 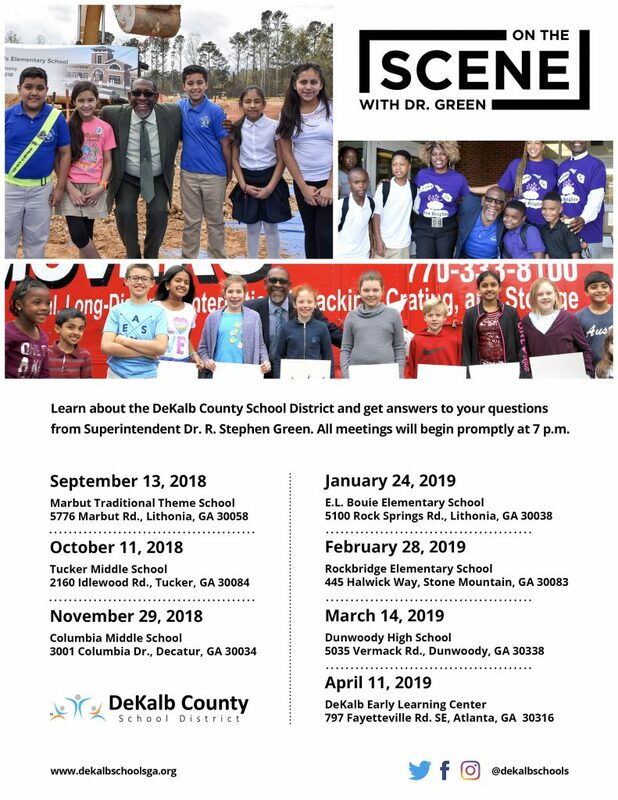 The public is encouraged to review the Fiscal Year 2018 tentative budget at www.dekalbschoolsga.org/superintendent/budget/ and provide feedback before the Board vote on June 27, 2017. 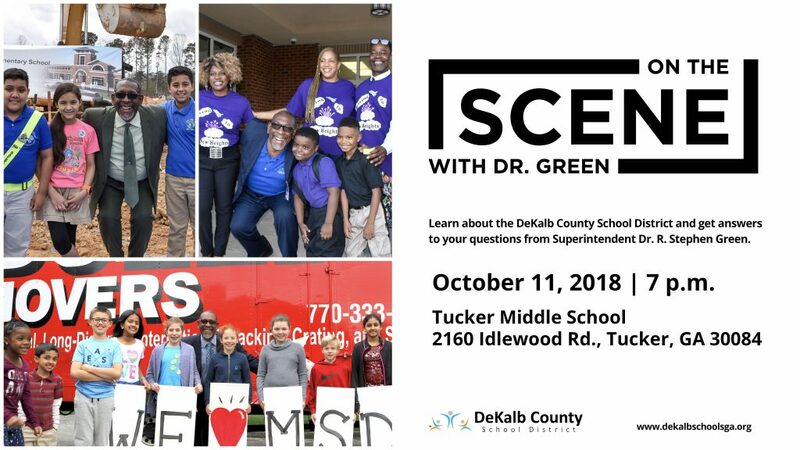 Questions and comments can be submitted directly to supt@dekalbschoolsga.org. 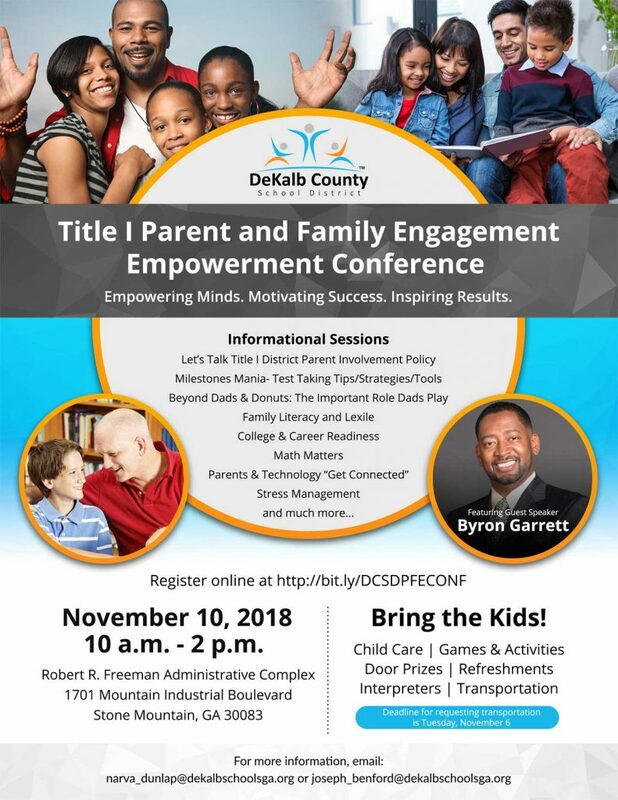 Parents or guardians of students who are new to DeKalb County School District (DCSD) should visit www.dekalbschoolsga.org/online-registration/ to register and ensure accurate school assignments and support services for their student. This safe and secure system will make registration available on most internet-enabled devices, reducing the probability of a trip to a school or registration center. 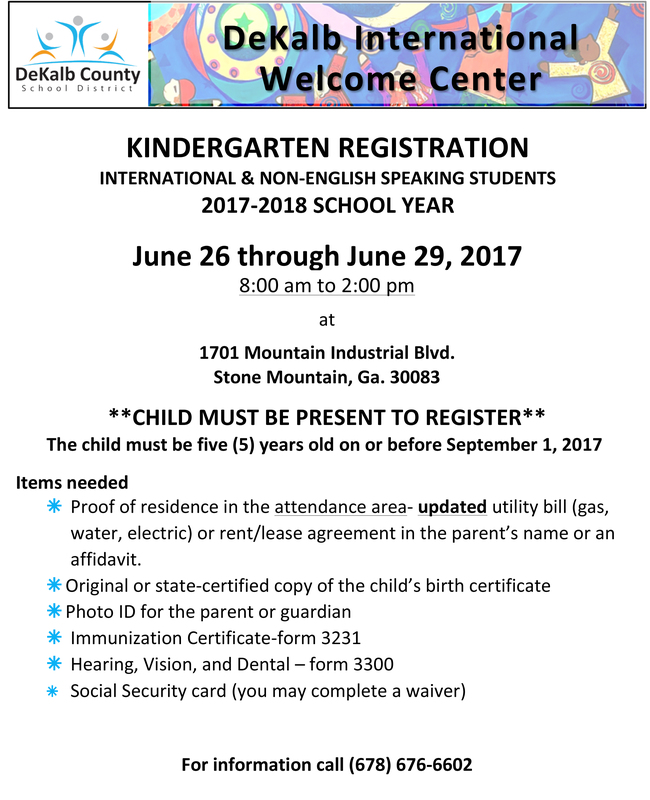 At this point, online registration is available to NEW students only. 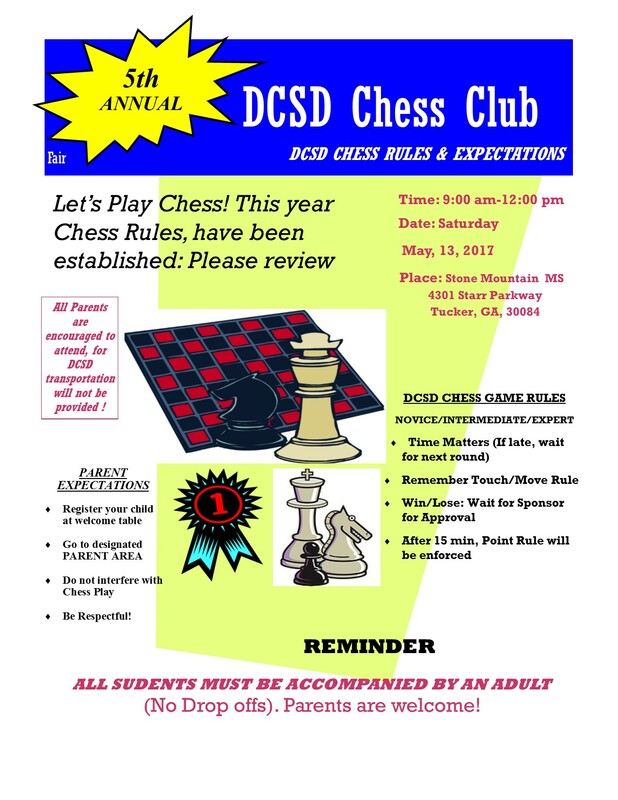 Students transferred within DCSD must withdraw from their current school and register at their new school. 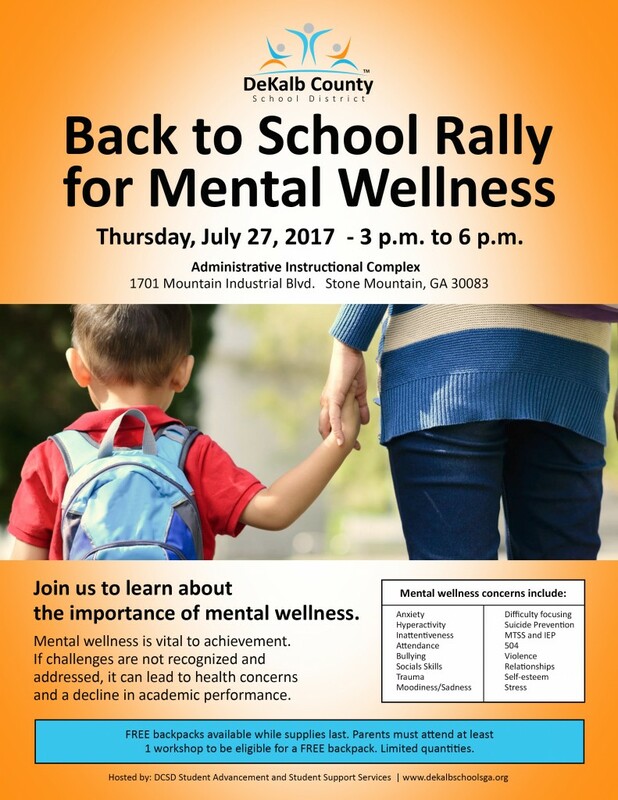 Contact theRegional Support Center at 678-676-0990 for additional information, or if a dispute arises over Proof of Residency. This meeting is held in the J. David Williamson Board Room at the Robert R. Freeman Administrative Complex. 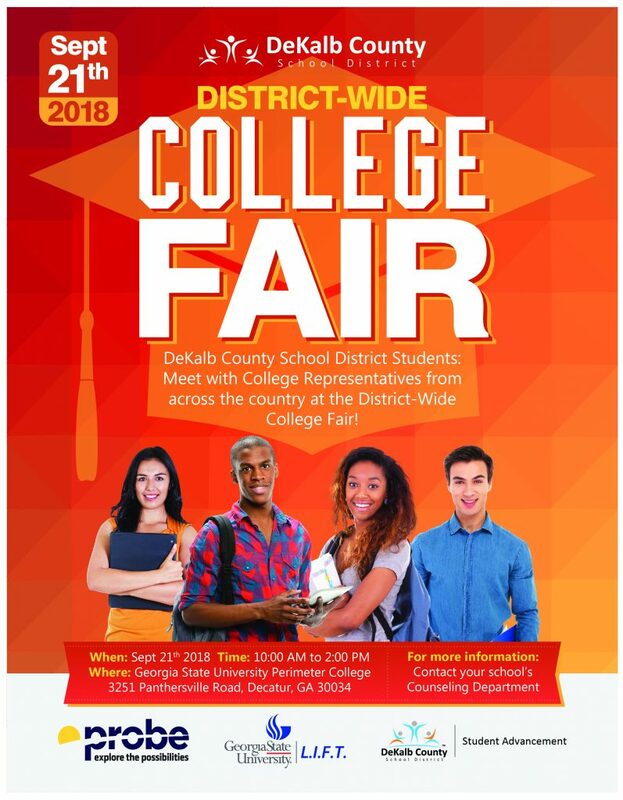 DeKalb County School District (DCSD) is partnering with DeKalb Work Source and the DeKalb Chamber to host the Parents Pounding the Pavement job fair and training. Interested individuals must attend one of the interview readiness training sessions to attend the job fair. Pre-registration is required to attend the trainings. 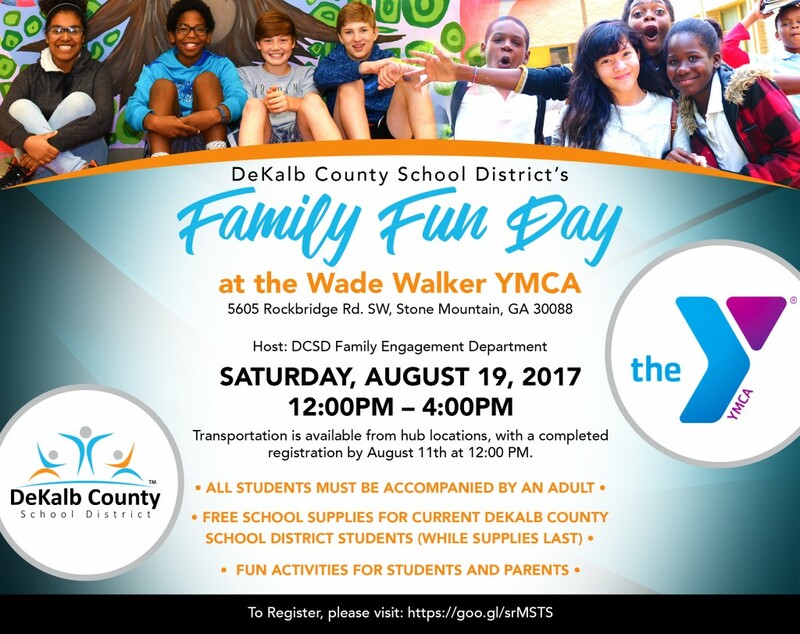 You will need to bring a photo ID (driver’s license preferred), proof of residence in DeKalb (utility bill), and your resume. If you don’t have a resume, you can bring a list of all your previous employments and summary of your work. 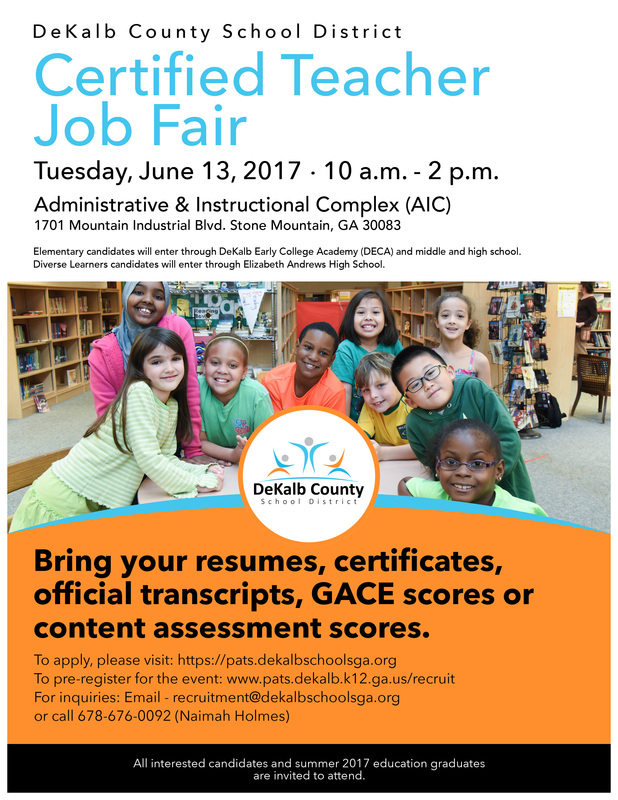 Pre-register to attend one of two job training sessions being offered on Thursday, July 13, 2017 in order to attend the job fair. 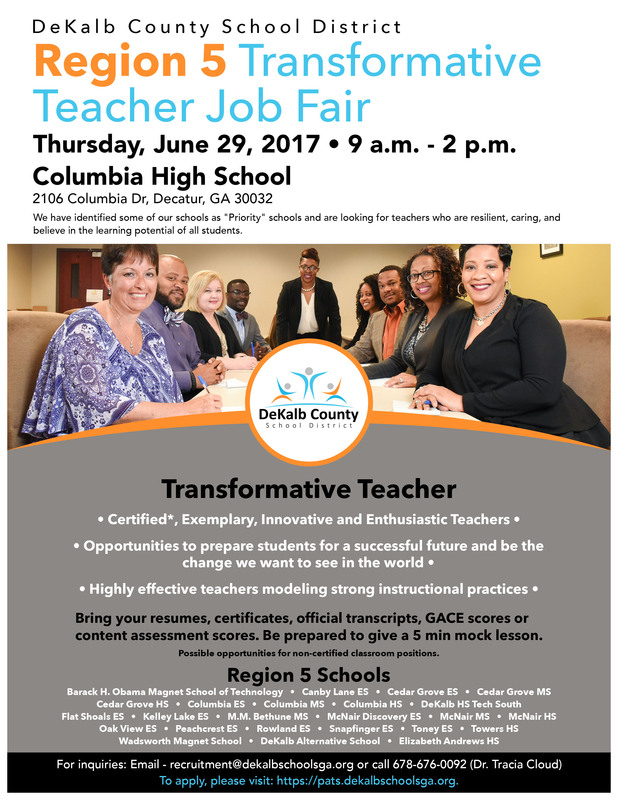 The job fair will be held on Thursday, July 20, 2017. 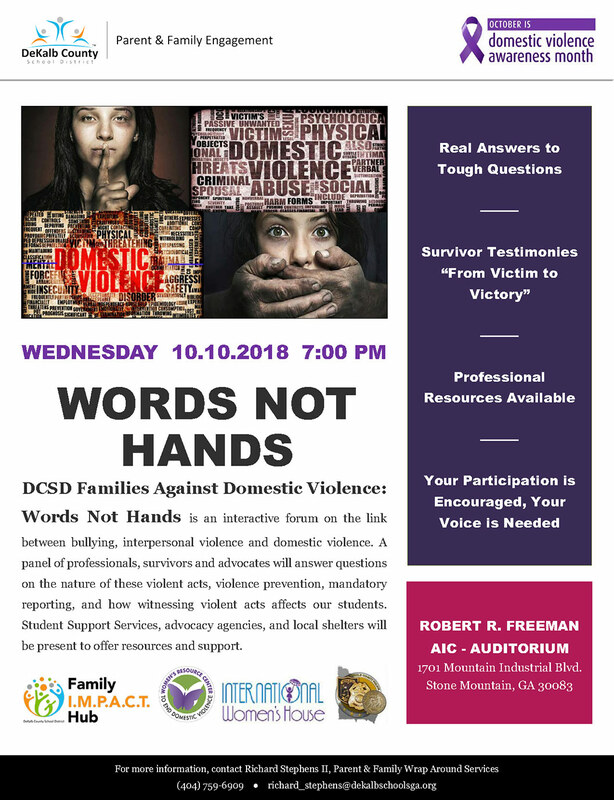 All events will be held at the Administrative & Instructional Complex (AIC) located at 1701 Mountain Industrial Boulevard, Stone Mountain, GA 30083. 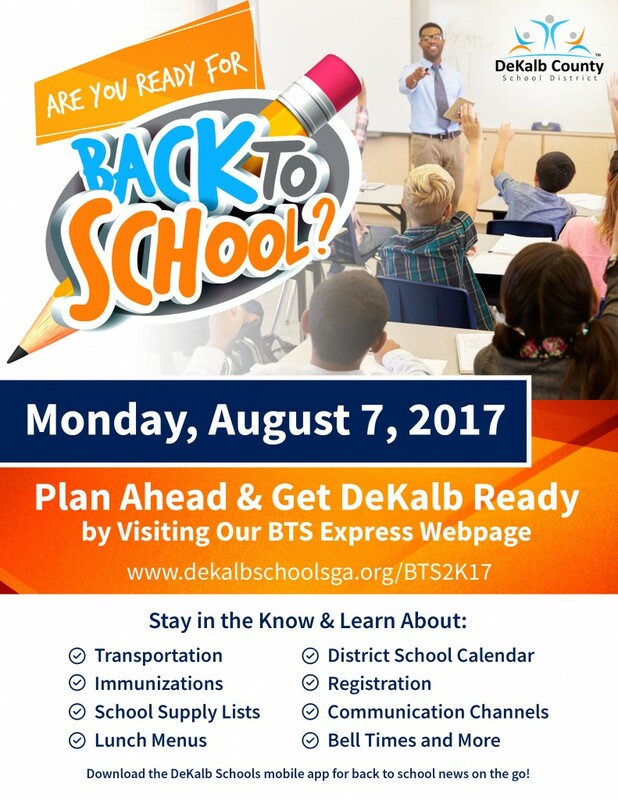 View our Back-to-School 2017 Webpage! 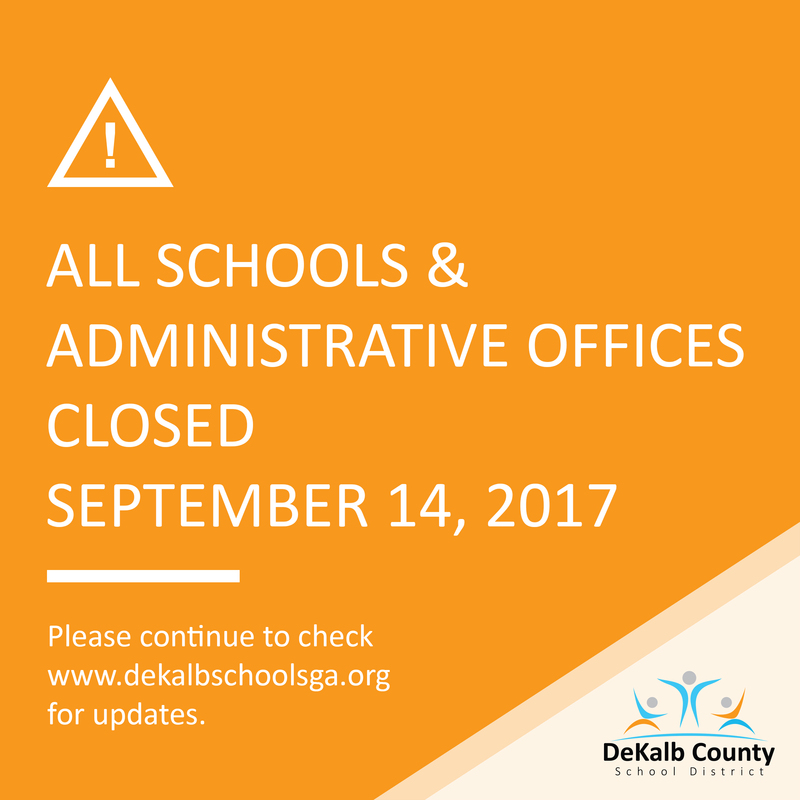 All schools and offices in the DeKalb County School District (DCSD) will remain closed on Thursday, Sept. 14, 2017. Employees are not to report to work. 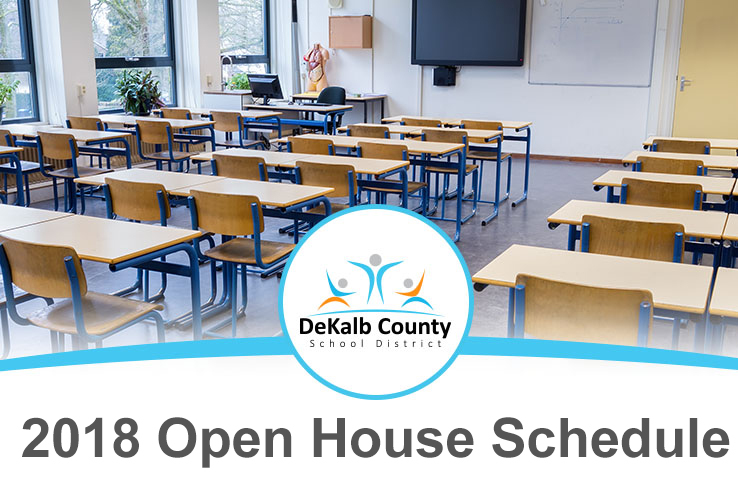 Progress is being made in preparing to reopen schools. Approximately 32 DCSD campuses remain without power as of noon today. By comparison, 62 campuses were without power at a similar time Tuesday. Also, significant issues such as fallen trees on school roofs and fallen trees persist. 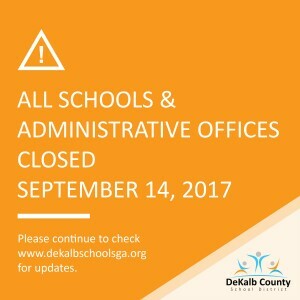 In the meantime, a state of emergency has been declared across DeKalb County. Teams of DCSD employees have been assessing the status of schools and working with appropriate organizations to reopen schools as quickly and safely as possible. 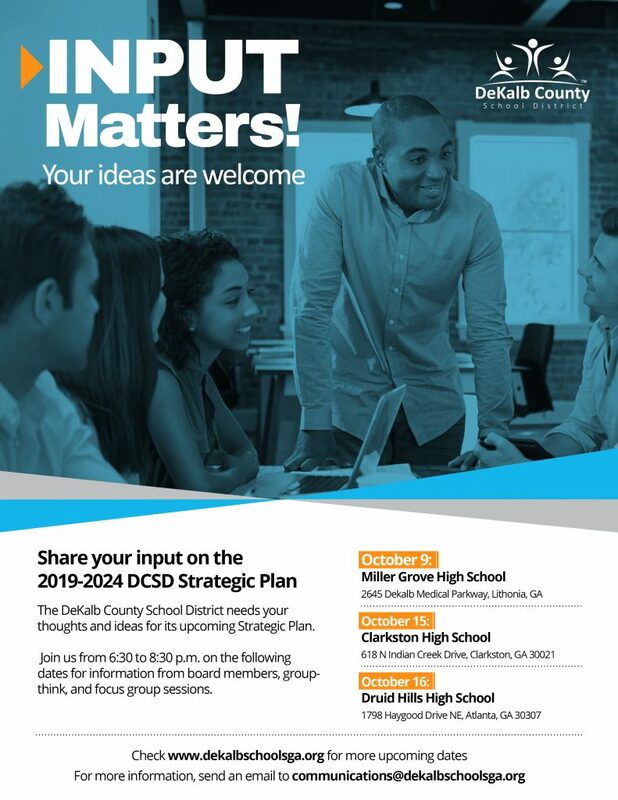 DCSD will continue to announce updates via its website at www.dekalbschoolsga.org and through its mobile app and accounts on Facebook and Twitter. 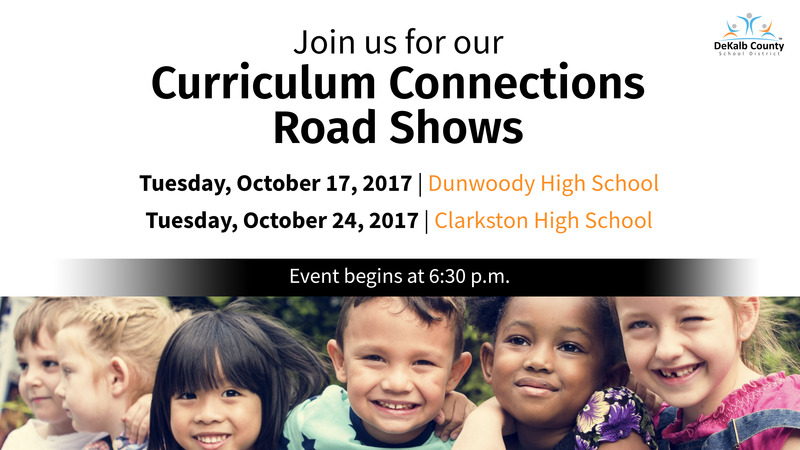 You can learn more by attending one of our upcoming curriculum roadshow events. Each event will begin at 6:30 p.m.
To learn more about the new K-8 curriculum, please Explore the K-8 Curriculum Connections Guides! 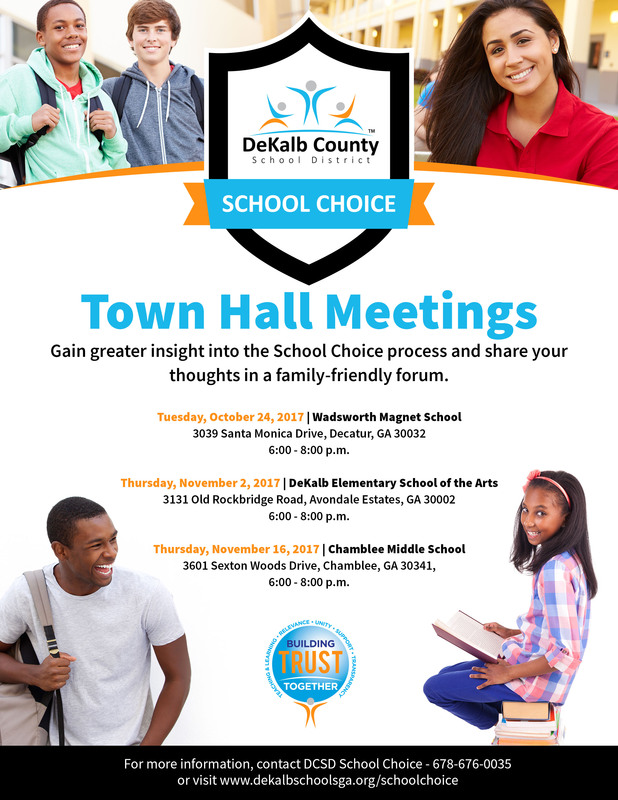 DCSD School Choice will be hosting a series of town hall meetings for you to gain greater insight into the School Choice process, and share your thoughts in a family-friendly forum. 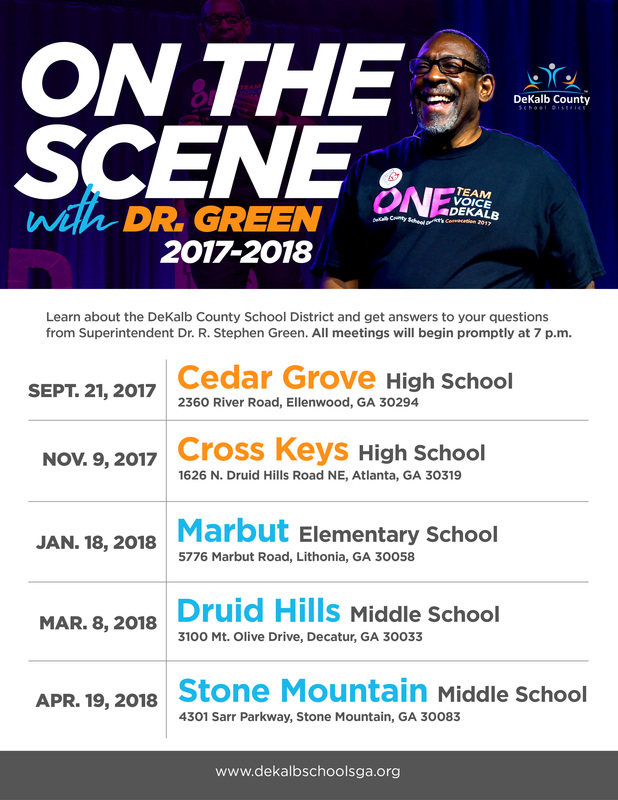 See flier below for the complete list of dates and locations. 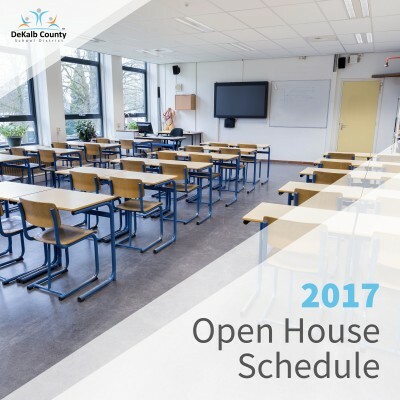 The School Choice Expo will be held on Saturday, December 2, 2017 from 12:00 p.m. – 2:00 p.m. at the DeKalb Early College Academy. More details to come. 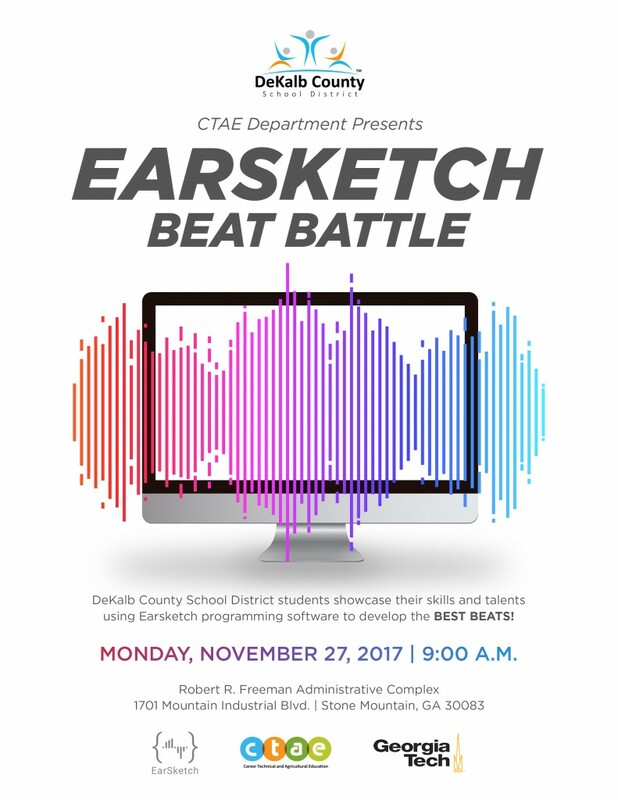 DeKalb County School District (DCSD) will honor its employees of the year for their commitment to student success at the 5th Annual Academy of Educational Excellence Awards on Saturday, November 11, 2017. Each honoree is selected by their peers from their schools and centers. 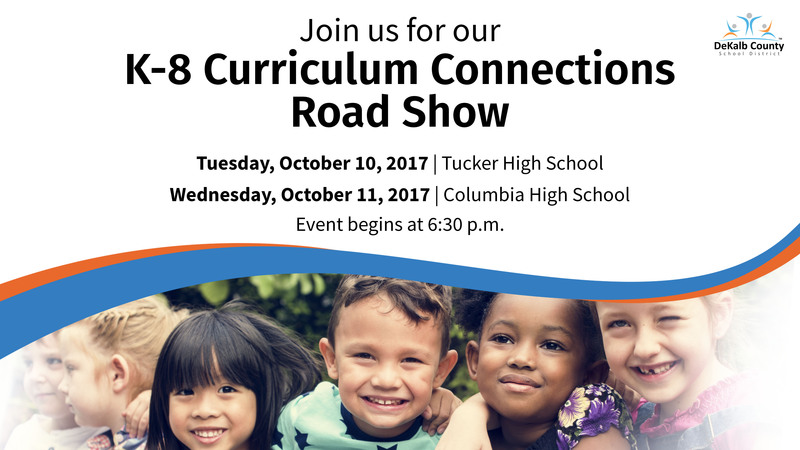 The recognition categories for this year’s fun-filled event are teachers, educational support professionals and principals. For additional information, please contact lorraine_sanford@dekalbschoolsga.org. 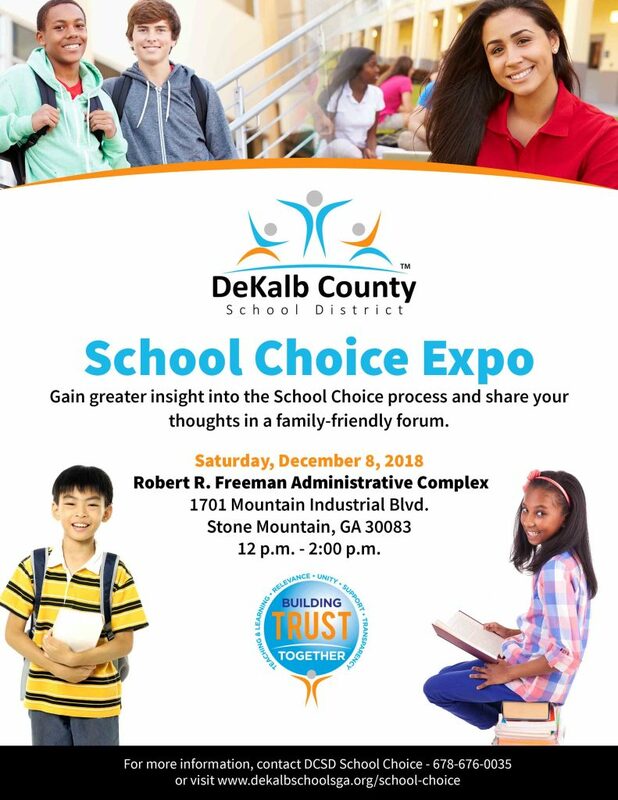 The School Choice Expo will be held on Saturday, December 2, 2017 from 12:00 p.m. – 2:00 p.m. at the DeKalb Early College Academy. More details to come. President’s Day: Schools & Administrative Offices Closed.